The Online Club That Empowers Center Owners To Succeed! Empowering Center Owners to Succeed! Owning a Child Care Center is a very rewarding business and it takes a very creative individual to operate a child care center. As a Center Owner of Over 10 years, I know first hand that it takes plenty of energy to manage a childcare center and a ton of patience. Moreover, the challenges seem to never end and that is why it is very important that you grow as a business owner. Furthermore the best thing that you can ever do for your self and for your center is to grow as a Business Owner. 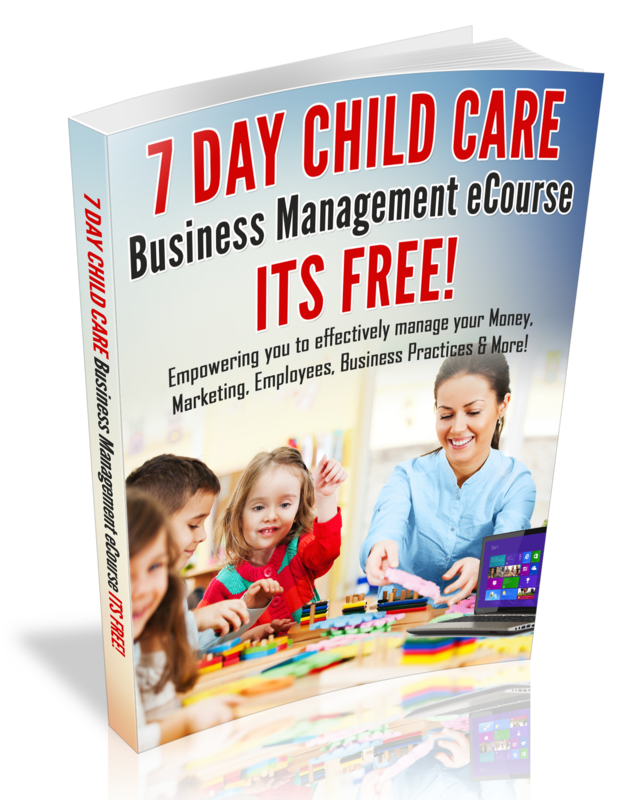 To grow as a business owner it is vital that you have access to information that will empower you to succeed and that is what the Child Care Center Owner’s eClub will do for you!! Learn How to Think Big for Your Business! Are you ready to grow as a Leader, Reduce your level of frustration, Discover how to be the best boss ever, improve your business skills and connect with other big thinking center owners? Join the Child Care Center Owner eClub Today for only $9.97.month! The Art of Owning a Child Care Center ebook!